Manchester United are ready to spend £80 million to sign Tottenham striker Harry Kane, according to the latest reports. 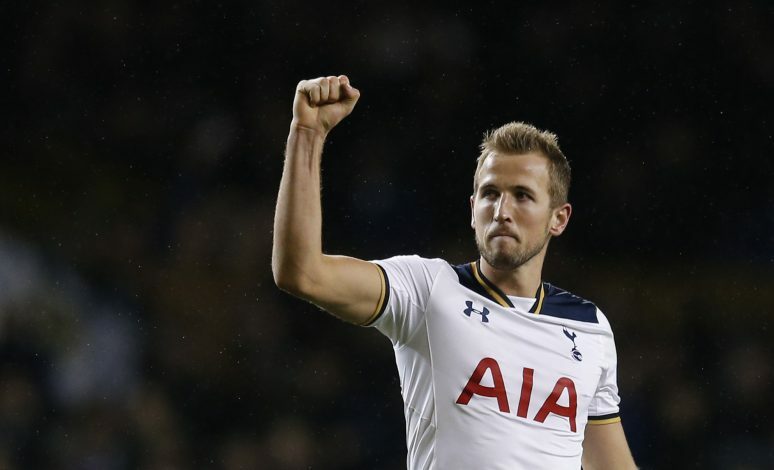 Kane scored a brace as Tottenham entered the top four with a thumping 4-1 victory away at Watford. The England international has now taken his goal scoring tally to 12 in 17 matches for Spurs, and an astonishing 59 goals in 100 league appearances in total. Kane extended his contract with Tottenham until 2022 back in November, but it now appears that might not be good enough to tie him down him at White Hart Lane. Italian website Calcio Mercato has reported that Manchester United are prepared to break the bank to take away Kane to Old Trafford in the summer. The current rumours suggest if the Red Devils manage to secure a Champions League berth, they will attempt to lure the in-form forward from their Premier League rivals. But United also need Tottenham to end the season outside the top four to succeed in their mission. Jose Mourinho apparently sees the 23-year-old as a long-term replacement for Zlatan Ibrahimovic. The Swedish attacker turns 36 this year, and United know he will not be around for too much longer no matter how long he can continue his stunning recent form. However, the Old Trafford hierarchy reportedly have to face competition for Harry Kane’s signature. Clubs in the Far East are desperate to snap him up to make him the face of the Chinese Super League, while AC Milan want to bring him to the San Siro.